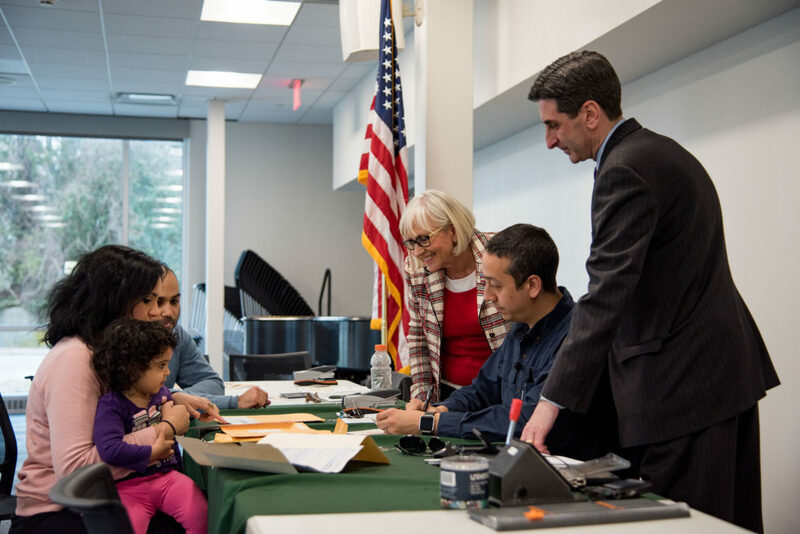 Town of North Hempstead Supervisor Judi Bosworth and Town Clerk Wayne Wink today announced a mobile passport processing event for residents on Thursday, Jan. 24 from 5 p.m. to 8 p.m. at the East Williston Public Library. Registration is required. At this mobile hours event, applicants will be able to process a new passport or renew an existing passport. Applicants must bring two forms of government issued identification, as well as fill out the application which can be found at: https://travel.state.gov/content/passports/en/passports.html or picked up in the Town Clerk’s office. The town will also be able to take photos on site for a fee of $10. This service is open to both residents and non-residents. Passport services are also offered at the Town Clerk’s Office, located at 200 Plandome Road in Manhasset from 9:30 a.m. to 3:30 p.m., Monday through Friday. Appointments are required and walk-ins will not be accepted. There are two fees associated with filing for a passport; the execution fee which is paid to the Town Clerk’s office and the application fee which is paid to the Department of State. Payments for the execution fee can be made with cash, check or credit but please note that the application fee must be paid by check. For a complete listing of passport fees, visit travel.state.gov/content/passports/en/passports/information/fees.html. Passport processing at the mobile hours and at the Town Clerk’s office is by appointment only. To make an appointment, call 311 or 516-869-6311. The East Williston Public Library is located at 2 Prospect Street in East Williston.